Imagine saving a planet in distress with just a spin of your finger? 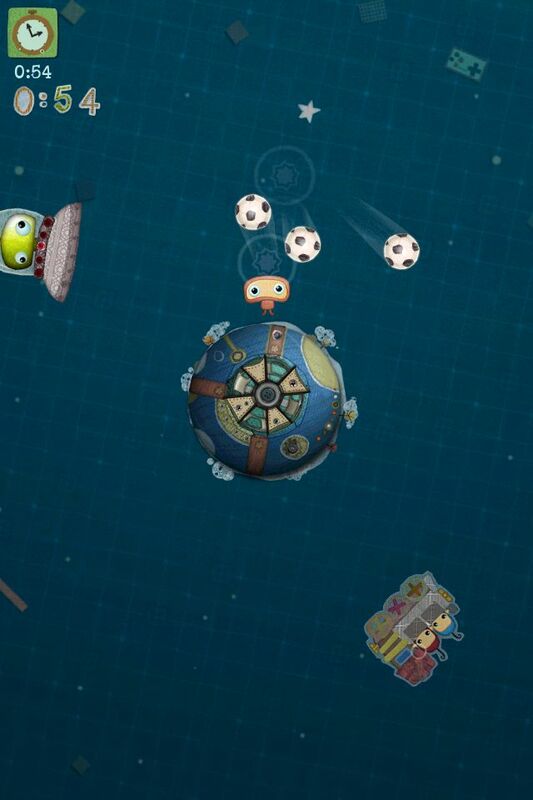 Well now you can in Kosmo Spin where you simply rotate a planet to protect alien breakfast things from an invading UFO. You play as Kosmo on the surface of the planet you rotate in 2D space avoiding the UFO that has a tractor beam and throws balls down on you. There is an endless survival mode as well 36 individual quests to complete. In survival mode the UFO tosses down balls that you try to bounce with your head because you’re shaken and pause if they do hit the surface. You also collect breakfast items, and stay away from the UFO tractor beam which causes game over if it gets you. 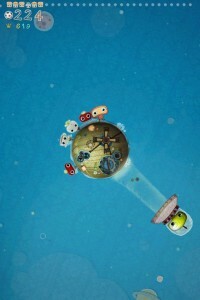 Game Center is included for online high scores and achievements, and the app is universal for all iOS devices. Kosmo Spin offers an intuitive and simple control scheme where you simply spin the planet with whatever finger/s you would like. With such a simple control scheme you can concentrate fully on the gameplay which is surprisingly challenging and enjoyable. 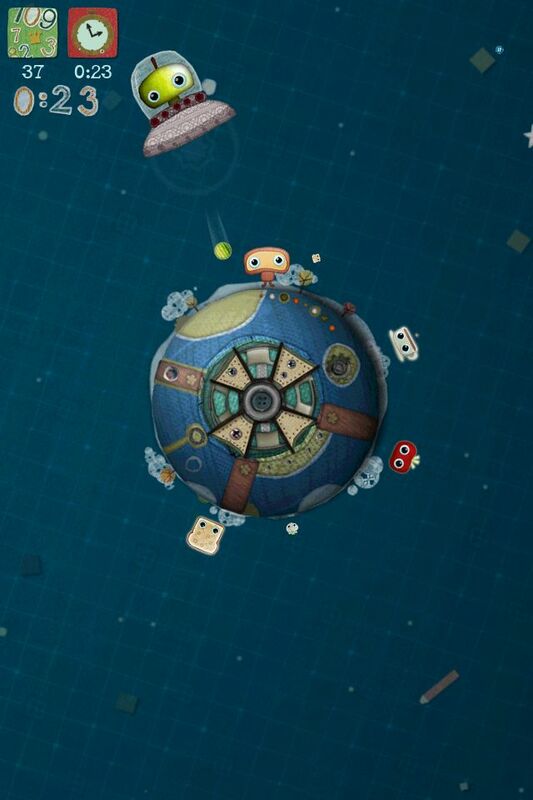 You score points by collecting breakfast items that pop up on the planet as well as bouncing balls off your head. 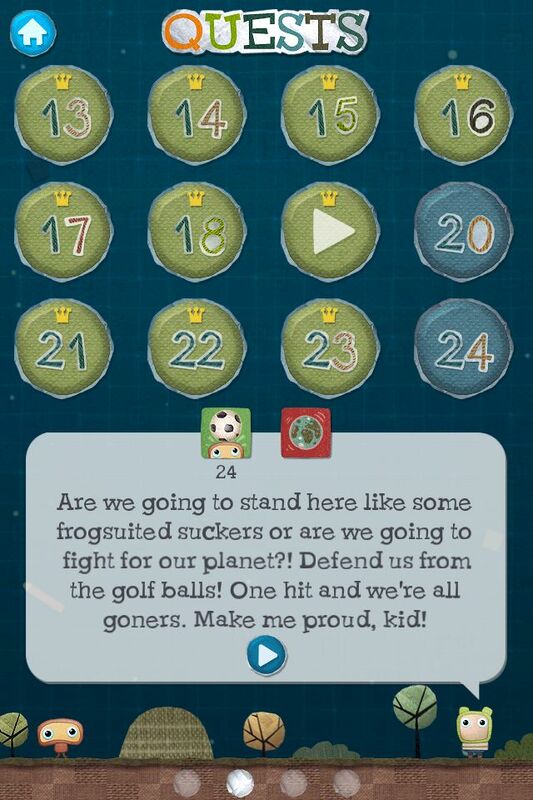 Consecutive bounced balls add up for combo points, and when you fill the breakfast item meter you can spin the planet rapidly for a huge bonus. 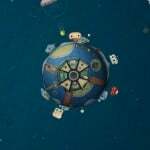 The game is nonstop fast paced action with always something to do whether it's collecting breakfast things, bouncing balls, or avoiding the UFO tractor beam. The simple control fits perfectly to conduct all of the action so smoothly, and that's just the survival mode. There are 36 quests which give you specific challenges of protecting the planet under different circumstances. You need to save a certain number of breakfast things, or bounce a specific amount of balls, or both while dealing with time constraints, poison objects, and of course the dreaded UFO. All of the quests are unlocked so you can play any of the 36 at any given time rather than unlocking each one consecutively. The game has an outstanding art style that is reminiscent of Little Big Planet, and just packed with style. 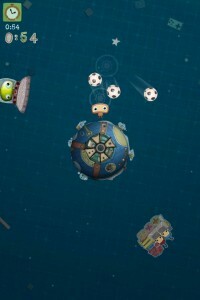 It looks amazing on retina devices of iPad with graphics that seemingly pop out of the screen beyond the 2D look. There is such fine detail in the background and the planets, and so many moving parts. A great fun loving sound track is included as well to fit the style perfectly. The game is set up very well so that as soon as you lose in survival or any quest there is a button to redraft, and you're playing again in under a second. There is a great replay factor as you just want to keep playing over and over as the game establishes such a solid connection with the player. The controls are simple, but they take a tiny bit to get used to as your player moves opposite the way you spin so it's a little confusing. You can run into bad things by accident, but there is an option in the menu to reverse the controls. The quests go by pretty quickly, and you're just left wanting more. Some of the quests are really easy, and some extremely hard, so the difficulty balance is a little off. There are no achievements or high scores for the quests which takes a bit away from the replayability. 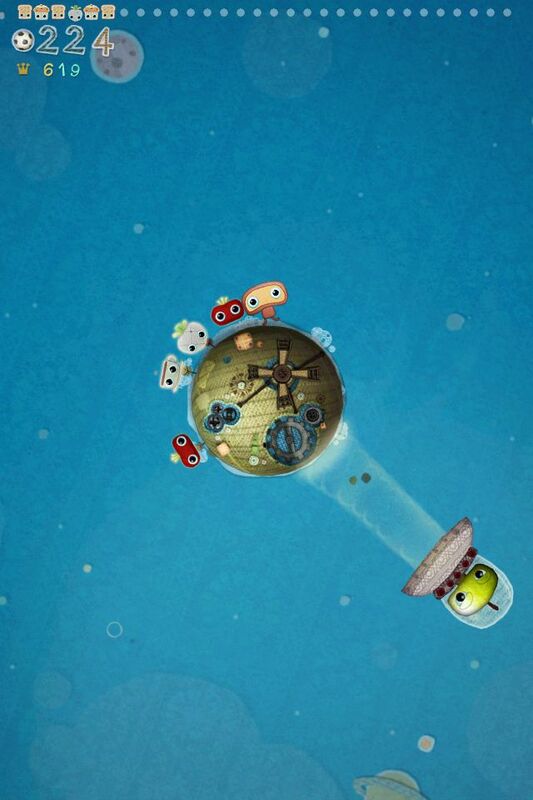 Kosmo Spin is simple and fun for everyone to pick up and start enjoying, but it's much tougher to put back down. 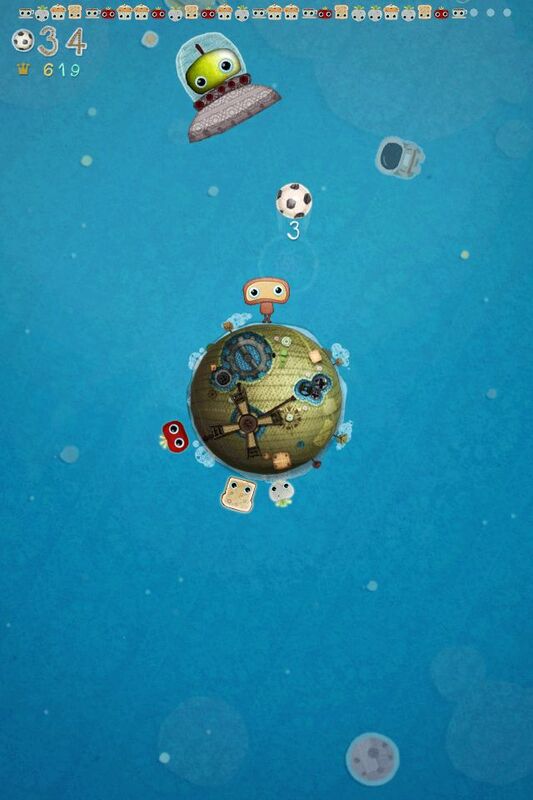 The game is oozing charm with such a great style that you'll just fall in love with. The survival mode and quests provide plenty to do, and it's tons of fun with so much action, and such simple controls. Kosmo Spin is an excellent arcade game that is a must buy for only $0.99, and proves the point that breakfast is the most important meal of the day.